Your garage door springs are one of the most important components of the entire system. They’re able to lift your door up off the ground, as it’s heavier than it may look and requires energy to do so. Without them, your door wouldn’t be able to open at all! That’s why it’s vital to keep the springs in good shape and take care of any replacements as soon as possible to avoid causing further damage to the door overall. It can be dangerous to try to tend to the springs yourself, as they can snap and cause harm to you and the garage overall. They also hold the weight of the door itself, which you don’t want crashing down. It’s safest and easiest to simply allow our experts to take care of everything! There are two kinds of garage door springs, extension and torsion. They both work by creating and storing the energy used to lift the door, but they do this in differing ways. Extension springs are stretched apart and the tension from this makes and keeps the energy needed. Torsion springs instead twist up tightly to do this. Despite essentially reaching the same end goal, professionals tend to prefer torsion springs due to the fact they last longer and are safer for use. Extension springs wear out quickly from being pulled taut, and when they break they can go flying and cause damage. However, whichever kind you have, we can take care of them in no time! Sometimes the springs simply get out of place over time and will need adjustments to work properly again. If wear and tear is instead the case, or a break entirely, one of our technicians will be able to carefully remove the spring present and get it replaced with a new one right away. 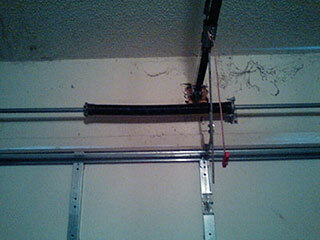 Just call Garage Door Repair Olympia for all of your garage door spring needs! We’ll be out before you know it.